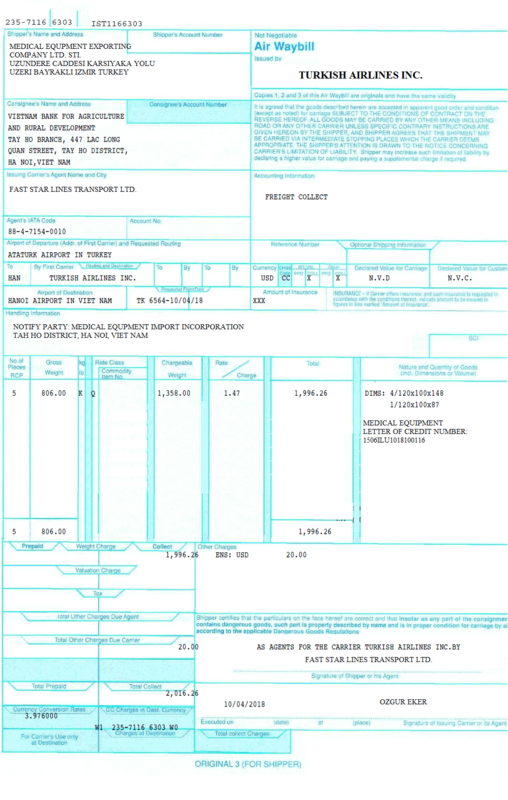 What is an air transport document? How to use an air transport document in a letter of credit transaction correctly? On this page I will try to explain you air waybill and its applications in letters of credit transactions. Issuing banks mention air transport document as “Air Waybill” (AWB), or “Air Consignment Note” in letters of credit. Important Note: Air transport document is not a document of title to goods, which means that air waybill is a non-negotiable transport document. As a result, air carriers will be able to deliver goods to the consignee without obtaining one original copy of air waybill. For this reason, exporters and banks (issuing bank and confirming bank) have to be very careful when working with a letter of credit demanding an air waybill as a transport document, because neither exporters nor banks could secure goods as a collateral. What are the Functions of an Air Waybill? indicate that the goods have been accepted for carriage. indicate the date of issuance. 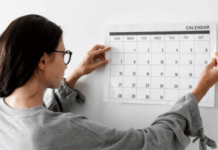 This date will be deemed to be the date of shipment unless the air transport document contains a specific notation of the actual date of shipment, in which case the date stated in the notation will be deemed to be the date of shipment. 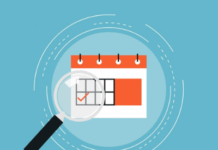 Any other information appearing on the air transport document relative to the flight number and date will not be considered in determining the date of shipment. indicate the airport of departure and the airport of destination stated in the credit. be the original for consignor or shipper, even if the credit stipulates a full set of originals. contain terms and conditions of carriage or make reference to another source containing the terms and conditions of carriage. Contents of terms and conditions of carriage will not be examined. For the purpose of this article, transhipment means unloading from one aircraft and reloading to another aircraft during the carriage from the airport of departure to the airport of destination stated in the credit. An air transport document may indicate that the goods will or may be transshipped, provided that the entire carriage is covered by one and the same air transport document. If a credit requires presentation of an air transport document covering an airport-to-airport shipment, UCP 600 article 23 is applicable. If a credit requires presentation of an “air waybill”, “air consignment note” or similar, UCP 600 article 23 applies. To comply with UCP 600 article 23, an air transport document must appear to cover an airport-to-airport shipment but need not be titled “air waybill”, “air consignment note” or similar.. The air transport document must appear to be the original for consignor or shipper. A requirement for a full set of originals is satisfied by the presentation of a document indicating that it is the original for consignor or shipper.